for under $2. I was sold! I'm not a spicy food type of person. I do enjoy the spicy sweet combination. I found several recipes. However, didn't find any that really caught my attention. I mix some of my favorite ingredients together and I was so surprised at how delicious this meal taste. I love that it doesn't take long to make and is perfect as an afternoon snack or a dinner side. Trust me, you will love this recipe! Cook the edamame according to package directions. In a small bowl, mix together the oyster sauce, soy sauce, water, honey, and red pepper flakes. Heat sesame oil in a small saucepan over medium-low heat. Once heated, add the garlic. Cook the garlic until fragrant to avoid burning. Add in the sauce mixture and raise the heat to medium. Let cook, stirring frequently, until the sauce reduces to a glaze, about 5-7 minutes. Once you reach the desired glaze consistency, add in the cooked edamame and toss well. Plate edamame. Pour any glaze left on top of the edamame or put in a small prep dish. Mmmm, these look delicious. I don't eat edamame often, I find that I like the motion of peeling and eating. The sweet and spicy recipe is very appealing as I love spicy food! 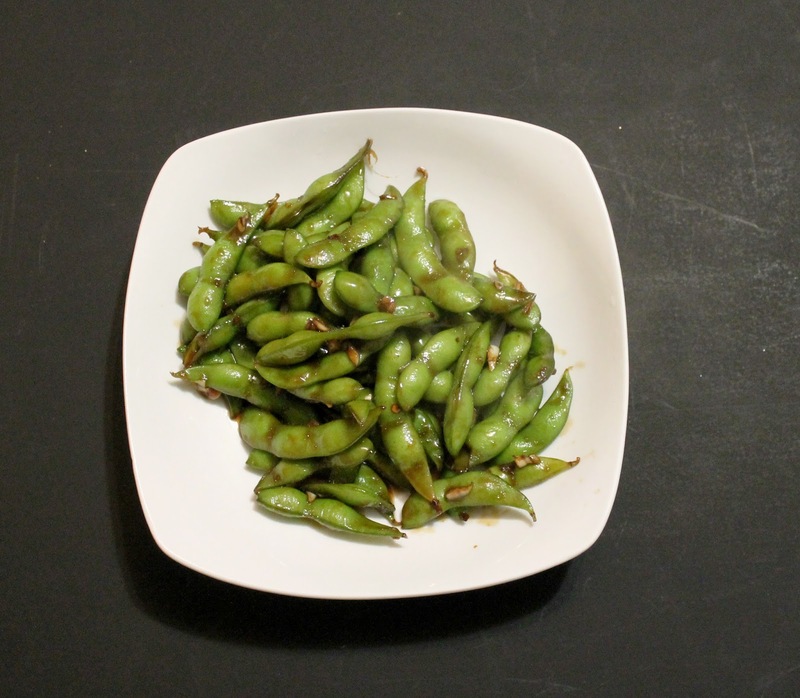 Is edamame like peas (unpeeled of course)? Can I use the recipe with peas? Thanks! Yes! This would be yummy with peas as well. I've usually had these mixed in with other vegetables. I think this is a nice way of having them as a meal too! Thanks for sharing! I don't think I've ever tried edamame before, but this looks really tasty. I enjoy spicy foods! I love Edamame and can't wait to try it your way. I ADORE spicy foods and have to say I have never had spicy edamame! Time to try something new! It sounds delicious, unfortunaly my stomach doesn't play well with spicy food. I think I am the only one in the family with a weak stomach. I have never tried edamame but it looks like something I'd love. Im a big time begin eater. I love edemame. It is something that usually accompanies me eating sushi. I do love it though. I should try this, although I'm not sure about making my own sushi. Never tried this, but this definitely looks delicious!!! I would love to try it someday. I only had sweet spicy edamame at restaurants and I was curious how they flavored it so this is awesome! 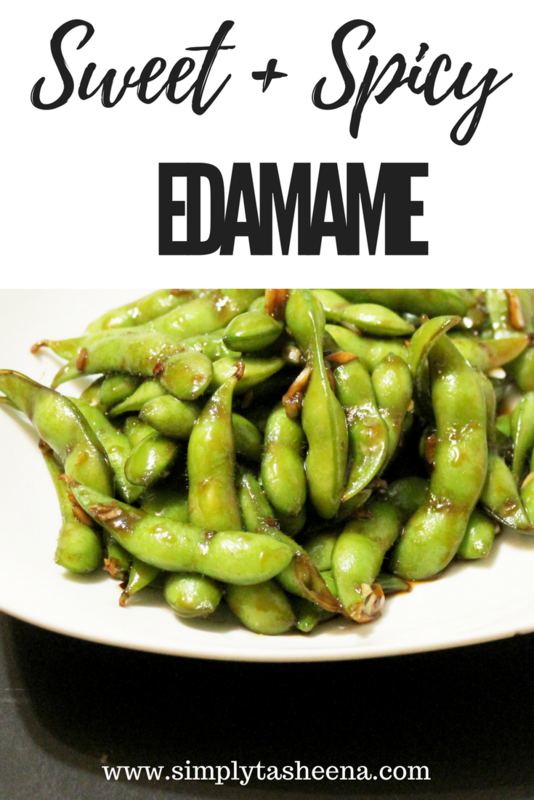 I am going to have to give it a try cause I love edamame! Mmmm am a little confused. Are these relative of string beans? I love edamame. They are so good for you and low calorie. I never thought about making sweet and spicy, but I will now. I usually just use sea salt. Ohhhh, I like the idea of throwing honey on it too! Normally I'll use Sriracha and soy sauce and it's a bit too spicy! I have to say I've had it once and didn't care for it. It wasn't prepared to taste good. I will have to give your recipe a try. It sounds yummy. Edamame is one of my favorite snacks. I usually just eat them with salt, but I may have to try this recipe soon. Thanks for sharing!